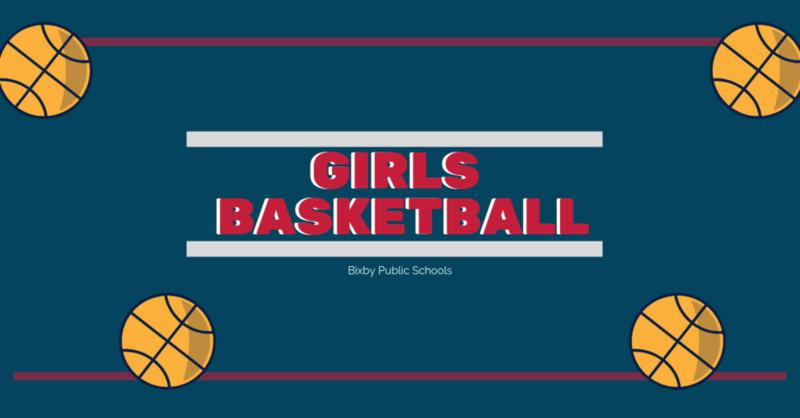 Consistency – something Bixby High’s girls’ basketball team has pursued this season – is becoming more evident in recent Lady Spartan performances. The 18th-ranked Lady Spartans, 12-7 on the season, extended their winning streak to three games after winning at Broken Arrow and routing visiting Muskogee in two Frontier Valley Conference games last week. Bixby took a 15-point halftime lead at Broken Arrow before holding off the Lady Tigers, 64-57, last Tuesday. In front of a large Whitey Ford Field House crowd last Friday night, Bixby seized the early momentum in coasting to a 66-29 victory over Muskogee. The challenges continue for the Lady Spartans as they visit 19th-ranked Jenks Tuesday, Feb. 5, and entertain sixth-ranked Bartlesville on Friday, Feb. 8. Bixby seized early control at Broken Arrow, leading 18-13 after one quarter and going on a 13-7 run late to expand the lead to 37-22 at intermission. BA outscored Bixby 38-27 in the final half to narrow the deficit. Dariann Myles led Bixby’s balanced attack with 13 points, followed by Sydnee Schovanec with 12, Sydney Page with 11, Avery King with nine, Savanna Stout with seven, Kate Bradley with six, Ashley Mariarty with three and Janiyah Hendricks with three. In winning for the second time this season against Muskogee, the Lady Spartans led 15-13 after one period before outscoring the Lady Roughers, 17-2 in the second quarter to capture a 32-15 halftime advantage. The Lady Spartans never relinquished the momentum in the second half as several reserves saw playing time. “It was a very solid game. We didn’t want to go too up tempo at the start but when we went into the half-court press, we got some turnovers and then got some momentum,” Coach Thomas said. “Anytime you get a lead it’s easier to build up the momentum. “I was pleased with everybody. They did everything we asked and the bench did a good job for us. They deserve to play because of their hard work and sacrifice in practice.” Myles led BHS in scoring with 16 points, including four three-pointers. Stout contributed 13 points, followed by Schovanec with 10, Bradley nine, Hendricks five, Andra Mohler four, King four, Jyllian Mays with three and Page with two.